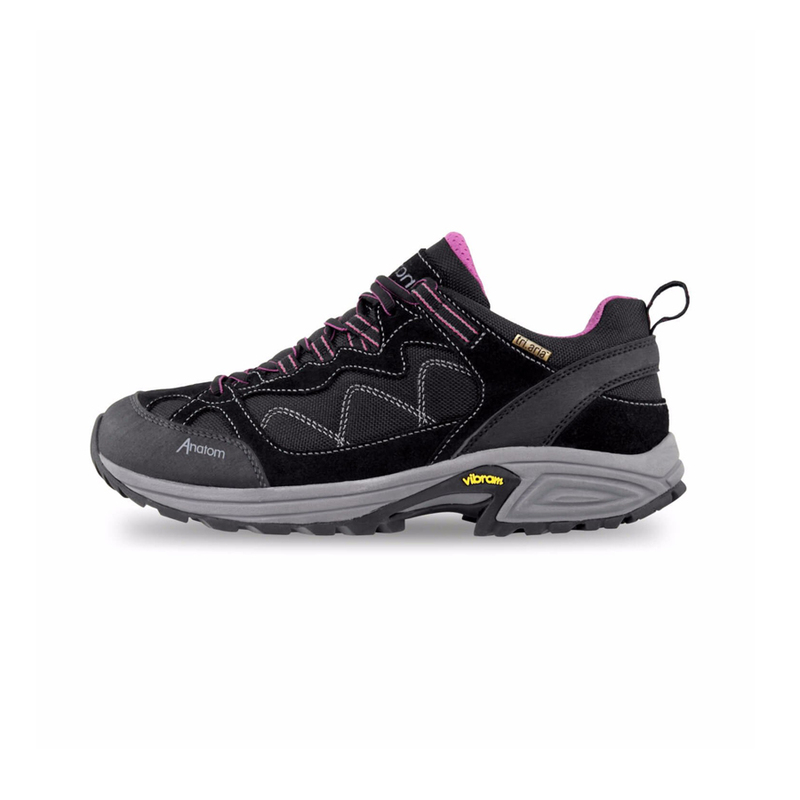 The Anatom SkyeTrail Women's Ultralight Multi-Activity Shoe is an incredibly comfortable multi-activity shoe for trail walking and fast hikes made from Anatom's latest shoe technology. Designed to be very lightweight, but also durable, the upper of the shoe is made with ballistic polyester and high quality suede that stand up to scratches and abrasions.A thin tri.aria lining creates a waterproof barrier and allows for breathability. For increased support, unique webbing lace loops add stability as they are tightened. A phylon midsole provides cushioning and a crash pad in the heel absorbs every impact. With a high traction Vibram sole, you have long lasting comfort on every walk.